Bitcorn Battle is a game built on the excellent Bitcorns game. 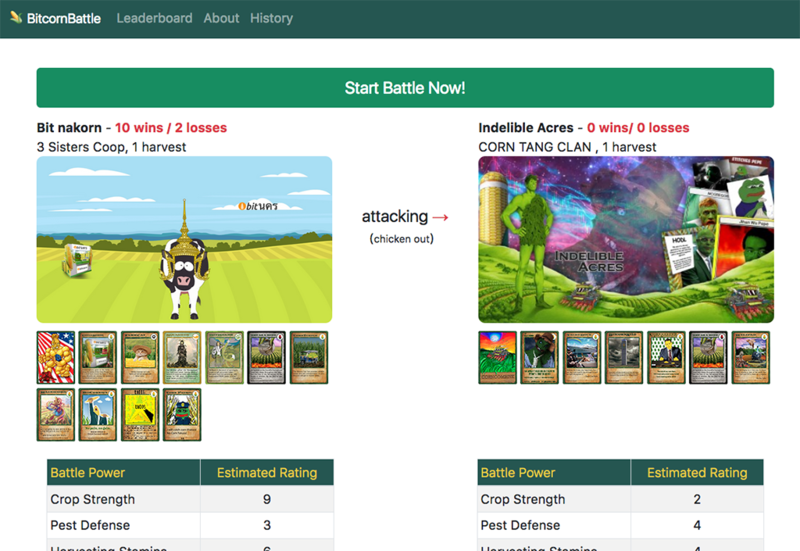 For this reason, to play Bitcorn Battle game, you must have a Bitcorn farm. If you don't have one yet, the quickest way to get started is to buy CROPS tokens directly from the Bitcorns site using a credit card. You'll want to use a Counterparty-aware wallet to hold these CROPS - because hodling them is how you get quarterly harvests of Bitcorn. The purpose of this game is to use your Bitcorn farm to kick the crap out of other farms. Any questions? The main obstacle to getting started, once you have a Bitcorn farm, is proving you own the farm. This is required in order to attack. Otherwise just enjoy checking out the leaderboard or reading further. Getting Started - the first step is the hardest. Choose your farm by name, then use your wallet's Sign Message feature by pasting it in and signing it, then copying and pasting back into the form on the homepage. In Counterwallet you can do it by following the steps shown in this video. 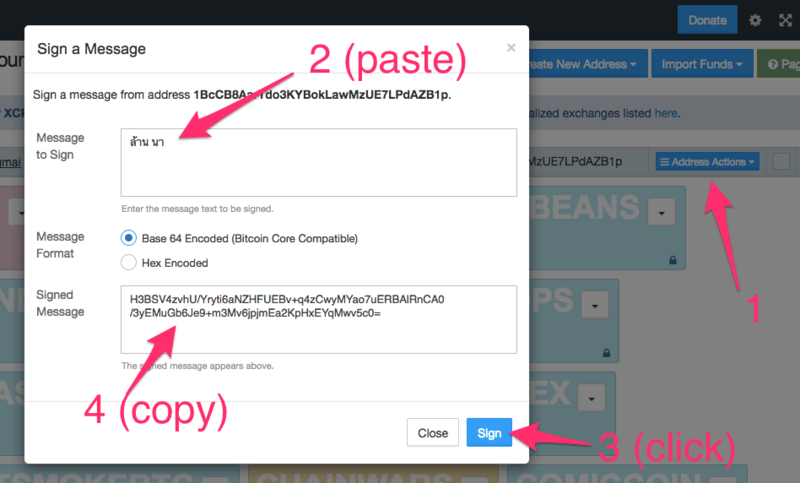 Here is an image depicting how to sign a message in the Counterwallet. 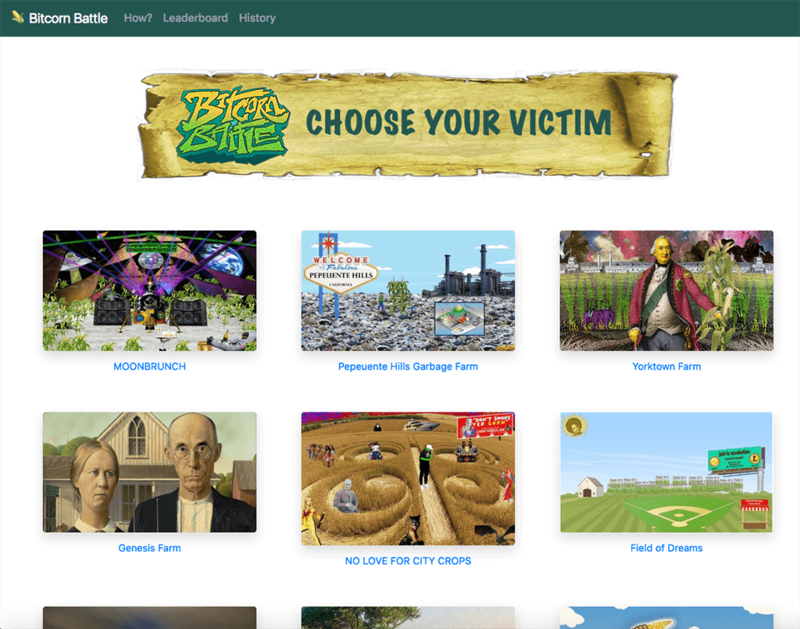 Start a Battle - You will choose your first victim from this page. Displayed are all the farms with a similar number of cards. Cards are a key to attacking strength of your farm. Farm customization is the other main key to succeeding in battle. More about both of these later. Once you choose a victim, you can see an estimate of how strong your farm is relative to the other. This estimate is fairly accurate but does not account for a builtin randomness factor. If you want to choose another opponent, go ahead and do so now. Farmers can only attack using their own farm; that's why we require message signing. In battle a random conflict is chosen and the outcome is calculated. Wins and Losses will be tracked on leaderboard for bragging rights. Maybe more. Farms get power by things like belonging to a coop, having custom art & location. Cards give power as well, in varying amounts. See details below. The game shows you choices of farms to attack based on your farm's strength. Farms that are much weaker than yours will not be available to attack. dankness - if you don't know you have it - you don't! What Kind of Battles? 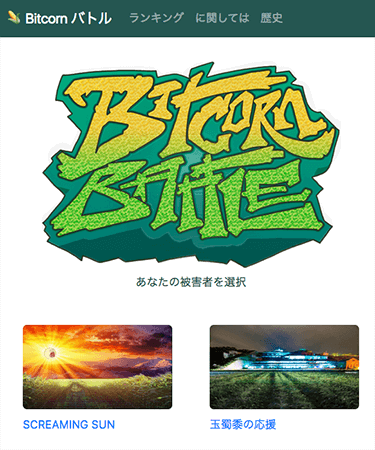 - A battle consists of some dangerous event that does damage to Bitcorn crops. Associated with each event will be a specific set of cards that increase damage done to the defender's farm, or decreases damage done to attacker farm. 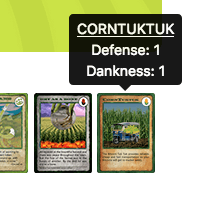 Having strong cards and a dank farm will help you no matter what challenging scenario comes up. There is an element of randomness in each battle, so you can never predict with certainty what the outcomes will be, but the estimates given are usually good indicators. 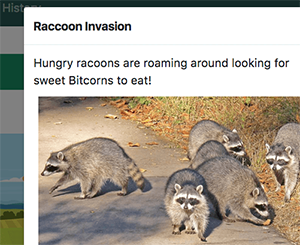 Localization - We built Bitcorn Battle to be simple to play in a variety of languages. Currently supported languages are English and Japanese, but more can be easily added. The only thing we need is help translating a few dozen strings of text! We plan to make some battle scenarios from different countries and cultures as well, and welcome all suggestions. Naturally since we are not fluent in lots of languages, we really appreciate any feedback about poor translations or suggestions about the game. Enjoy your battles! tournament! seems like a good idea right? suggest something - let us know your great ideas!